This is a bit of a one-sided battle because Genesis Casino is a b-e-auuuutiful casino. Just imagine if Jim Carey saw this, his mind would be BLOWN. 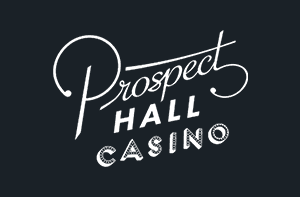 It’s no surprise that this casino is space themed because the whole look and feel is otherworldly. The visuals are magical, the imagery is beautiful, the navigational journey is magnificent. 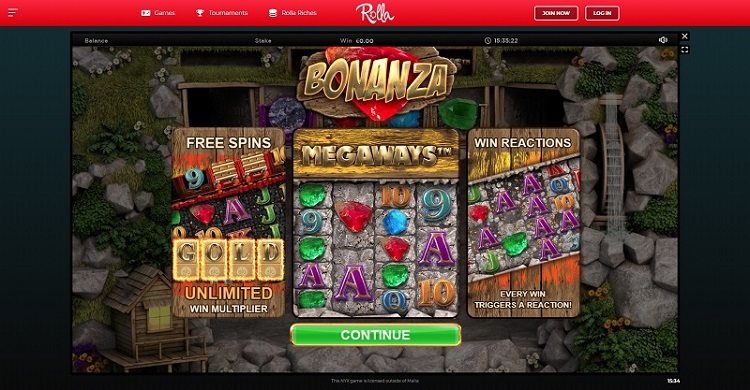 Genesis Casino really does nail the user experience. But how does Kerching match up? Ehm, not at all well really. As a website, it just looks very dated and very basic – almost like it was designed by an amateur rather than an actual pro. But it’s not all bad because the navigational journey is very good and the website is fast. It’s just a shame it’s let down by a very average looking website. As you may have guessed, Genesis goes 1-0 up early doors. 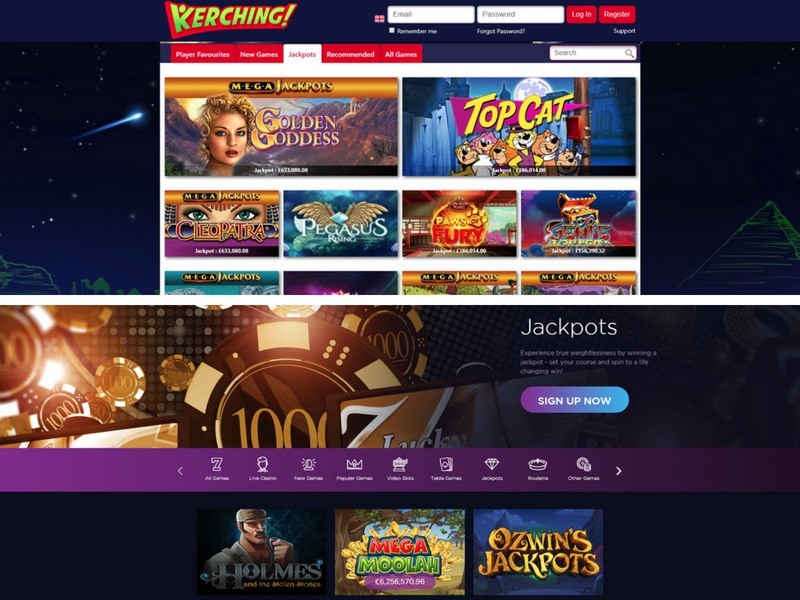 Kerching Casino does really do a good when it comes to games with over 300 on offer including all the favourites like Starburst, Rainbow Riches and Gonzo’s Quest, all the traditional table classics and progressive slots like Divine Fortune and Cleopatra. 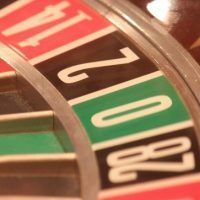 The one annoying thing though is that the game filters are not very good at all – there’s only five different categories and no category at all for table games. But when it comes to Genesis Casino, the boys blow Kerching out of the water again on this one as well. 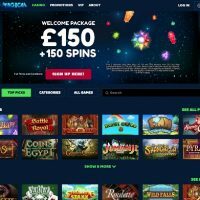 1,400 games are on offer at Genesis, and it’s not any old rubbish either, it’s all your favourites as listed above plus they include millionaire-making slots like Mega Moolah and Mega Fortune too. 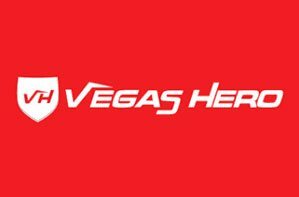 There’s also a host of instant-win games which you don’t find on Kerching, live casino, and the game filters are infinitely better. 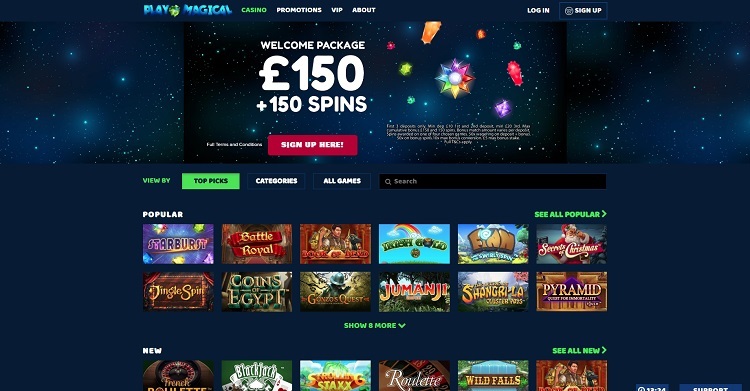 At Genesis Casino you’re privy to a pretty decent welcome offer of a 100% match up to £100 + 300 free spins on Starburst with your first deposit, and the bonus has to be wagered 40 times before it can be withdrawn. To be honest, Genesis doesn’t offer the best welcome bonus in the world, and there are definitely better bonuses out there, but is Kerching one of them? Yesssss it is! Kerching back in the game! 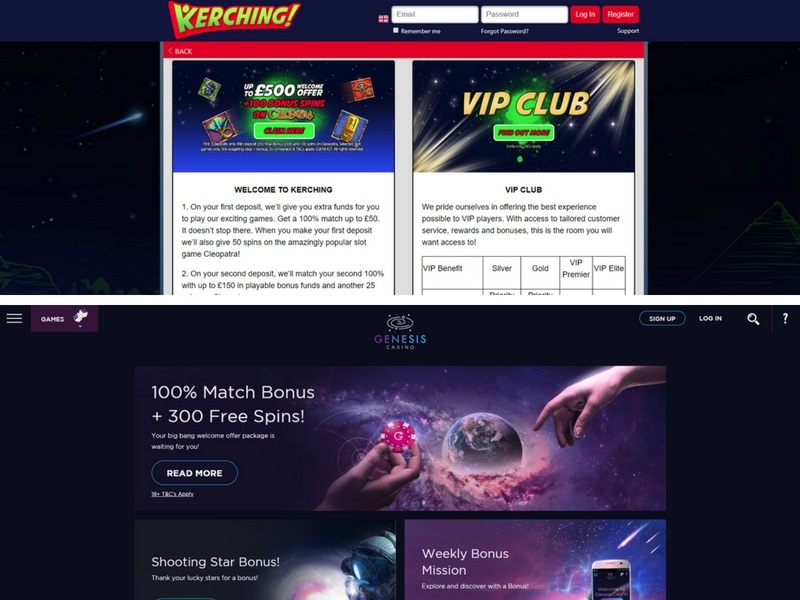 Kerching’s bonus is split over your first three deposits, but you can claim up to £500 in bonuses when you deposit £800 + you also get 100 free spins on Cleopatra. 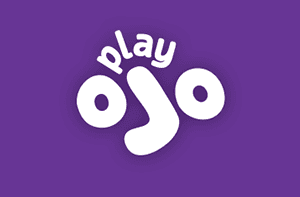 You also only have to wager the bonus 30 times before you can withdraw. Kerching pulls one back late on, now can they push on and claim a draw? It’s very close as we head into the last round. 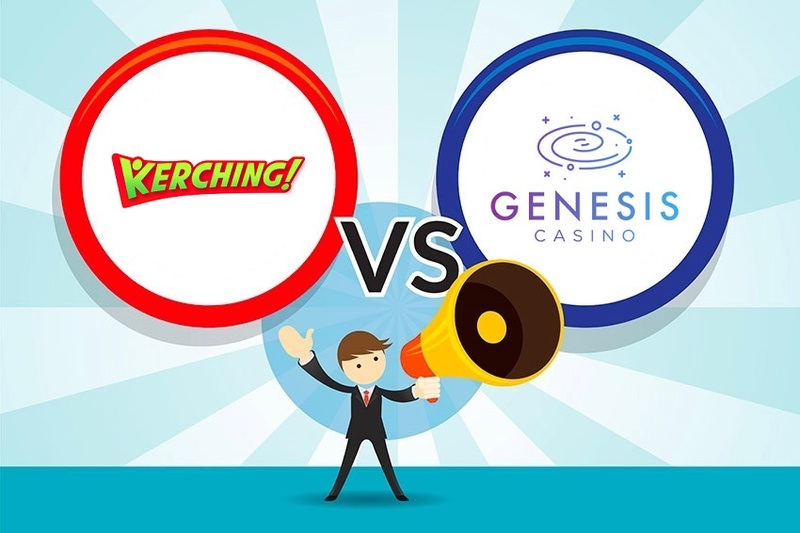 Kerching need a point to secure a draw, but can Genesis hold them off? 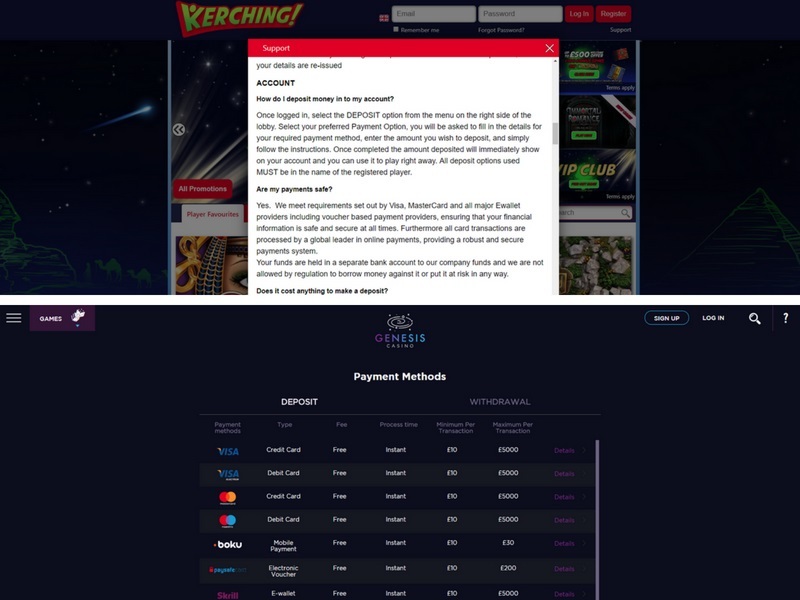 When it comes to Kerching: Visa, Mastercard, Maestro, Neteller, Boku, paysafecard and Skrill are all accepted as payment methods, and the minimum withdrawal and deposit is £10. The maximum withdrawal is £2,000 a day. Genesis? The payment methods are incredibly similar, but Genesis also have Trustly and entropay too. 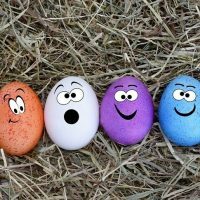 Regarding withdrawals and deposits, they also have a minimum transaction of £10, but the maximum withdrawal is £1,900 per transaction. So how do we split that? Well, we’re not going to. We’re going to have to call it a draw. Top work from both sides. To be honest, from the outset Genesis Casino looked like they were gonna walk this one, but Kerching came firing back and were really close to snatching a draw. 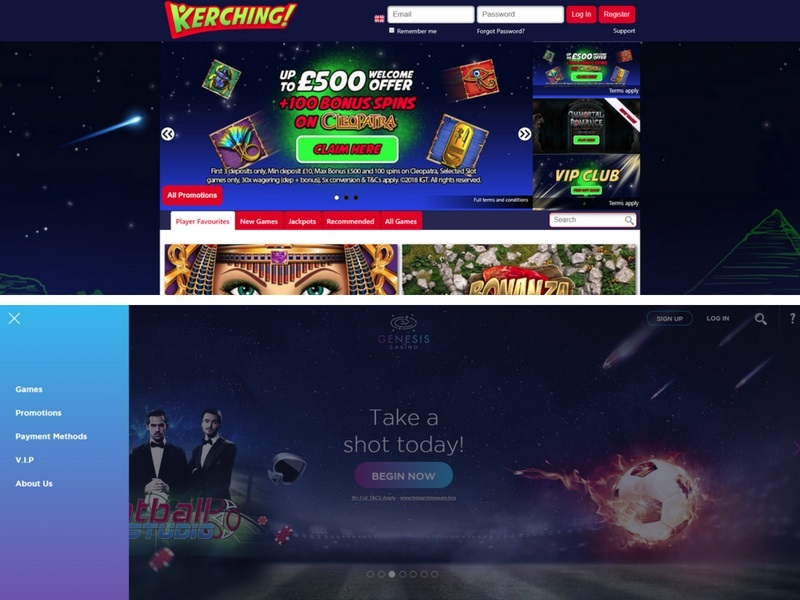 When it comes to user experience, there aren’t many casinos that can cope with Genesis’ firepower, not least Kerching who really don’t offer a very appealing website at all. But Genesis has more to it than just beauty, they have wonderful games too and an exorbitant amount of them – over 1,400 which is just crazy. Kerching in comparison offer just 300, and though it’s about quality and not quantity, Genesis offers both in abundance. It wasn’t all bad for Kerching, though, they offer very good payment methods and an excellent welcome bonus, but on this occasion, they come up short against a quite magnificent casino in Genesis.